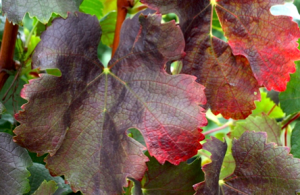 Bloom is here and it is a great time to get an accurate assessment of the nutritional status of your grapevines. What to sample? Soil or leaf petioles. Soil sampling should be performed before planting and every 3 years, primarily to track the pH. Sample each block as you would for other crops. The more direct method for determining the nutrient status of the vine is tissue sampling, specifically petiole sampling (Figure 1. 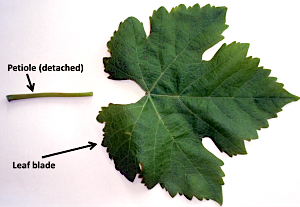 Grape leaf blade and detached petiole). 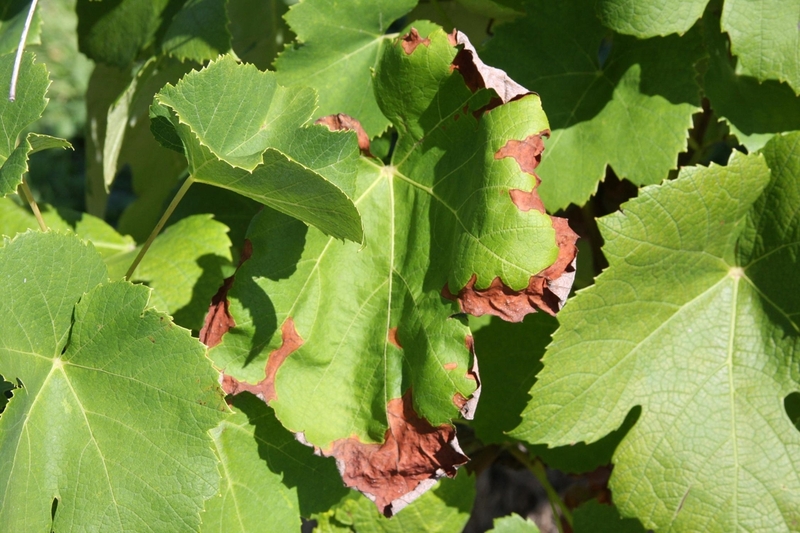 Petiole sampling should be performed every 2-3 years in established plantings. You may need to sample annually when establishing the vineyard.